Kids' music in the 1960s -- that is to say, kids' music before there was even a name for it -- basically took the folk music path that was one of the dominant musical strains of the era. For Pete Seeger and Ella Jenkins, there was some distinction between folk music for adults and that for kids, but it was a distinction more of presentation than of subject matter. And that folk music orientation was basically the default kids' music option through the '80s if not the '90s until the kindie wave swept through at the start of the 21st century. Imagine, however, if other musical strains of the decade -- psychedelic pop, Phil Spector's Wall of Sound production -- also found themselves working their way into kids' music with songs for the youngest listener. 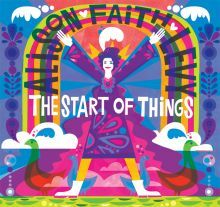 Were that to have been the case, Alison Faith Levy's brand-new album The Start of Things would be a stellar example of that alternate reality rather than sounding so unique in today's kindie landscape. Levy first came to the attention of the kids' music world as a member of the Bay Area band The Sippy Cups, which started out as a kid-friendly cover band for the music of the '60s and '70s before gradually becoming a band which wrote its own psychedelic-inspired kindie pop. The band had been on hiatus for several years before Levy released her first solo album, World of Wonder, in 2012. While there were echoes of the Sippy Cups' psychedelic and Wall of Sound production on that first solo album, it's much more pronounced on The Start of Things. The opening title track features a groovy organ, horns, and the theme of how it's OK to be nervous when tackling a new project (first day of school, opening night of a play, etc.). It's my favorite track on the album, just a great pop song for kids that a lot of adults might sneak into their own playlists. The track "Pull Your Weeds" envisions a friendship between Cinderella and Snow White and the empowering lyric (printed on the inside of the CD package, so clearly resonant with Levy) "Do your thing / Love what you do / Appreciate your beauty / Pull your weeds and / Stand your ground / And the world will come around." While "The Start of Things," Pull Your Weeds," and songs like "Rainbow Tunnel" and "Little Dreamer" sound like they could easily be part of a musical Levy is working on based on World of Wonder. Other songs, however, are rooted more in interactivity -- the raucous "Are You Happy?" 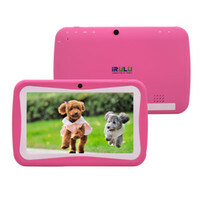 runs through a series of emotions that the kid-listeners are encouraged to mimic. The "Ballad of Boo Ghosty" is a silly little story about a ghostly friend, while "The Froggy Dance" is a nonsense poem. Given these tracks, the 32-minute album will be most appropriate for kids ages 3 through 6, though some of the songs mentioned earlier in the review have a slightly older age range. The Start of Things has a '60s-inspired sound, but it still sounds fresh. That colorful and rainbow-adorned album cover nails the vibe of Levy's bright and empowered songs. Definitely recommended. Posted in 3, 4, 5, 6, Reviews and tagged with Alison Faith Levy, The Sippy Cups, review, reviews. April 22, 2015 by Stefan Shepherd.